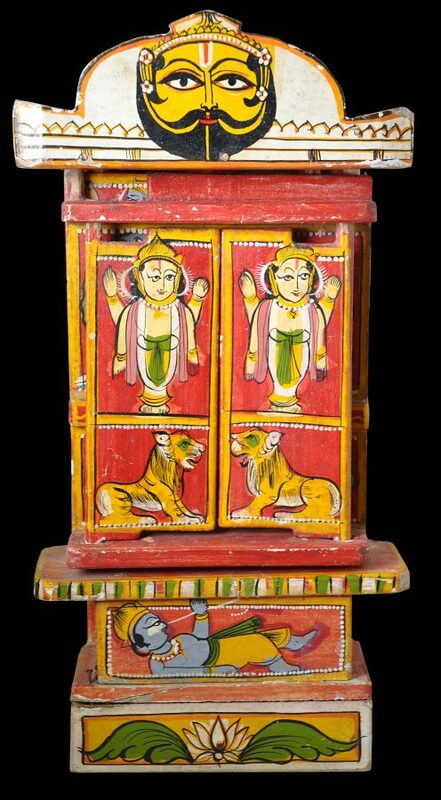 This shrine or story teller’s box, of painted wood, comprises a cabinet with a series of eight doors that fold out to ultimately reveal the Jagannathi trio of Krishna, his brother Balarama and their sister Subhadra as separately carved and painted figures. 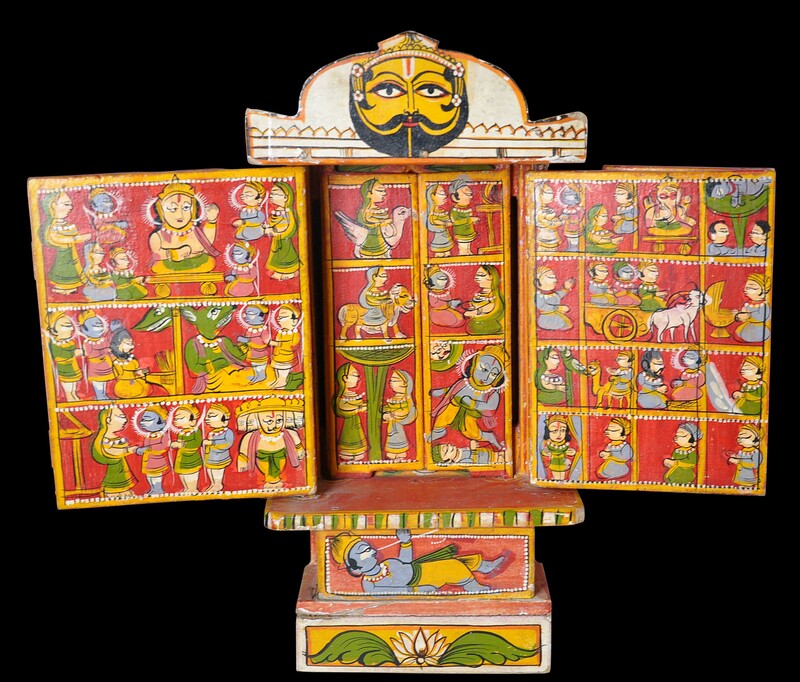 The trio are worshipped most fervently in Puri, Orissa. The doors are profusely painted inside and out with multiple scenes from religious stories. 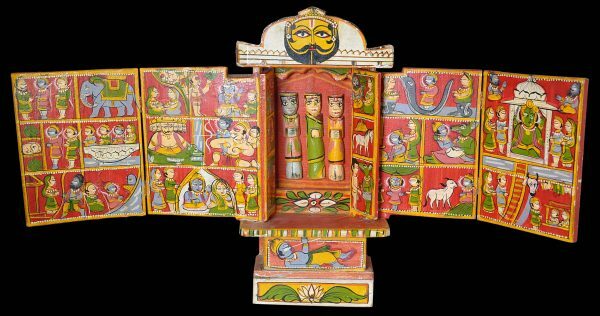 There is no text: most pilgrims who might have acquired such a shrine or story teller’s box would have been illiterate hence the stories are told via pictures. 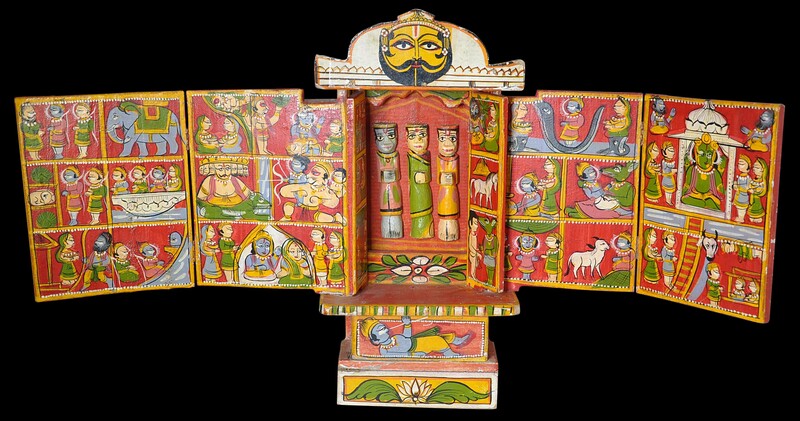 Altogether, there are sixteen separate interior panels all densely painted with mythological scenes. 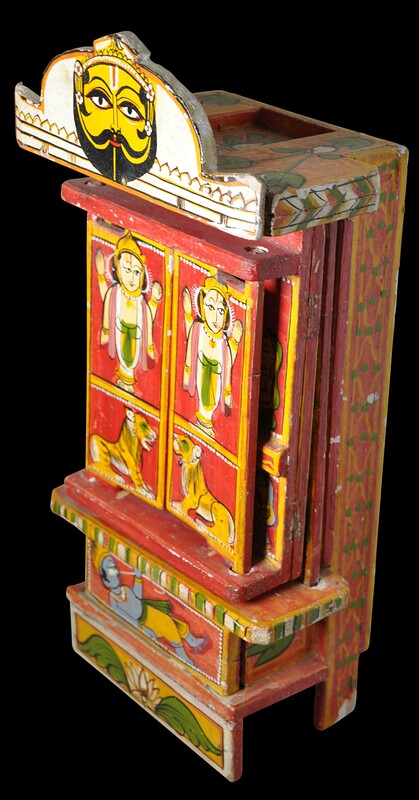 Relatively few examples of such shrines or boxes survive. One, attributed to the eighteenth century and with the image of Subhadra missing, is in India’s Museum of Folk, Tribal and Neglected Art. Another is in the Denver Art Museum (1985.550) and is illustrated in Lanius (2007). The example here is in fine, workable condition. 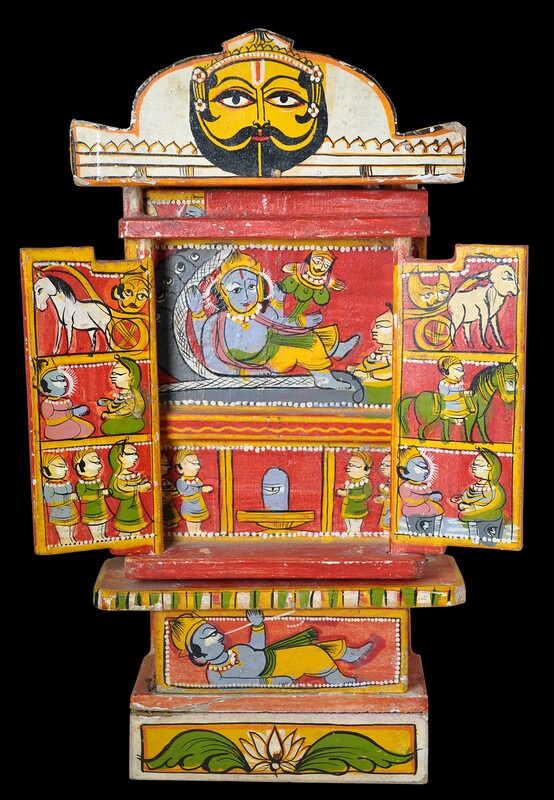 Aryan, S., Unknown Masterpieces of Indian Folk and Tribal Art, KC Aryan’s Home of Folk Art, Museum of Folk, Tribal and Neglected Art, 2005. Lanius, M.C., ‘Popular and traditional art of South and Southeast Asia in the Denver Art Museum’, Arts of Asia, January-February 2007.